What can I do if I believe my content has been posted in the 23andMe website by a user without my permission? 23andMe respects the rights of others. You can notify us if you believe any content posted in our website by our users infringes your copyright, or the copyright of someone you are authorized to represent. If you believe that someone else's copyright is being infringed, please inform them and direct them to this page. It is 23andMe’s policy to respond to notices of alleged copyright infringement that comply with the Digital Millennium Copyright Act in accordance with the following Notification Guidelines. The Digital Millennium Copyright Act of 1998 (the "DMCA") provides remedies for copyright owners who believe that material appearing over the Internet infringes their rights under United States copyright law. To learn more about the DMCA, please visit the U.S. Copyright Office website at http://www.copyright.gov/legislation/dmca.pdf. If you believe in good faith that materials posted by other users in the 23andMe website infringe your copyright, the DCMA provides that you (or your agent) may send us a notice requesting that the material be removed or access to it blocked. If you are unsure whether you hold rights to a particular work or if the material you are reporting is in fact infringing, please consult an attorney or another adviser, as 23andMe cannot provide legal advice. Note that there can be penalties for false claims under the DMCA. What can I do if I believe any user generated content posted in the 23andMe website infringes my trademark(s)? 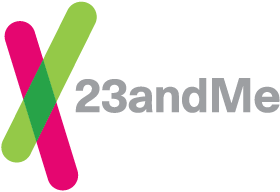 If you believe any materials posted by users in the 23andMe website infringes your trademark(s), please email us at ip@23andme.com. If deemed appropriate upon review of your complaint, we may remove the offending content, warn the user who posted the content, and/or temporarily or permanently suspend or disable his or her access to the 23andMe feature where the offending content was posted. What is GINA and could my genetic data make it hard for me to get insurance coverage?